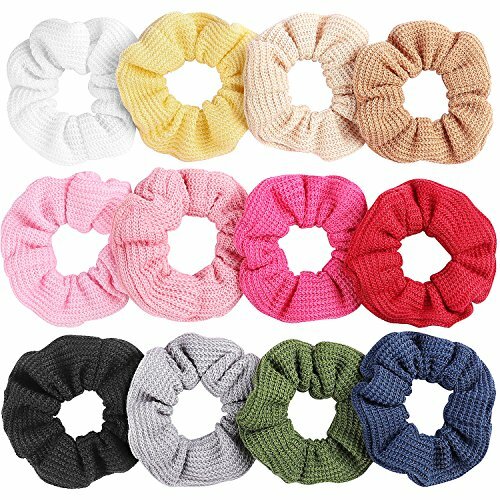 Wide application: Our knit scrunchies can be applied in various occasions, you can wear them attending parties, ceremonies and daily wearing, practical and useful for you. Enough quantity: 12 colors, total 12 pieces of knit hair scrunchy,enough for your need. Simple design and well made hair tie, suitable for all the ladies, great gift for Mother's Day, also suitable for yourself or your friends and families. Please be reminded that due to lighting effects, monitor's brightness/ contrast settings etc, there could be some slight differences in the color tone of the pictures and the actual item. Please wash them by your hands carefully. If you have any questions about this product by Whaline, contact us by completing and submitting the form below. If you are looking for a specif part number, please include it with your message.